This is the first in a series of posts in which I will try to get a handle on how forest management and the things we choose to produce from our forests affect our ability as a province to reduce the levels of GHGs (Greenhouse Gases) in our (global) atmosphere. I was stimulated to do so by the earnest letter that Peter Ritchie wrote to Mr. Jason Hollett, Executive Director of Climate Change at Nova Scotia Environment (view also Post, Feb 25, 2018) and by the response he received to that letter on Mar 12, 2018 (below). I began writing a post about this exchange when Peter shared the response with me; after many false starts I finally realized that the topic is too big, too complex – scientifically and otherwise – to write about critically in a single post, yet alone to comprehend the ramifications of almost anything we do or don’t do with our forests, and why we do or don’t do it. I had written about some aspects of GHGs and forestry under BIOMASS/BIOFUELS and Climate Change on this website, but I found that I really needed to update myself on the literature and to rethink the whole topic. So I am biting it off in small chunks beginning with some letters written about burning forest biomass for heat and electricity. As with everything else on this website, I do not claim to have “the answers”, only to be searching for them. View Peter’s letter in full and my Post of Feb 25. Thank you for your February 25th letter regarding CO2 emissions from the NSPI biomass boiler in Point Tupper. I appreciate the amount of research and work you completed in drafting and supporting the arguments you presented. We appreciate that as the science improves and as evidence is compiled, standards of practice need to change. At this time we are satisfied that the current standards represent accepted practices, but will continue to monitor developments in this field as they occur. Thank you again for your work and your correspondence. Reading Peter Ritchie’s letter reminded me that I wrote equally impassioned (and, I think, equally reasoned) letters on the same subject in 2009/2010, pointing out a then-recent publication exposing a significant error in the Kyoto protocol that allowed forest biomass burning to be counted as carbon neutral. 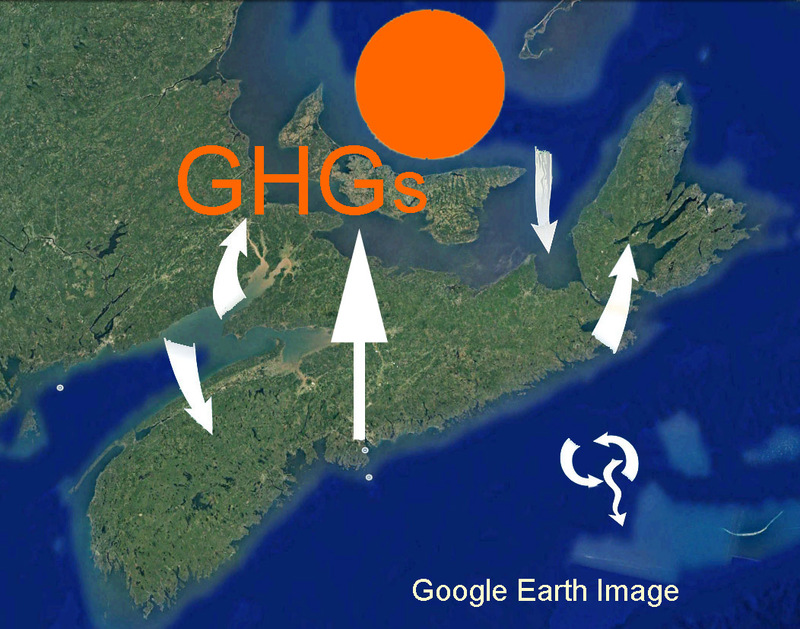 It would only be a matter of months at most, I thought, for the world to recognize the error and so it wouldn’t be smart for Nova Scotia to go ahead with its biomass utility at Port Hawkesbury. Despite a promise to the contrary, the paper was not cited in the “Wheeler Report”*, and the replies I got from government were like that which Peter has now received, courteous but evasive or outright dismissive of the concerns. EAC’s and NSWOOA’s and others’ concerns about effects on other markets notwithstanding (and which later materialized), the Port Hawkesbury biomass plant went ahead with all the blessings and support of Dexter’s NDP government. *Adams, Michelle, and David Wheeler. Stakeholder Consultation Process For: A New Renewable Energy Strategy For Nova Scotia, Final Report To The Government Of Nova Scotia, December 28, 2009. Part of what I am “trying to get a handle on” is to understand why a person like Mr. Hollett could well believe that he answered Peter Ritcie’s letter appropriately, that his answer reflected his true understanding of how combustion of biomass affects GHG emissions. 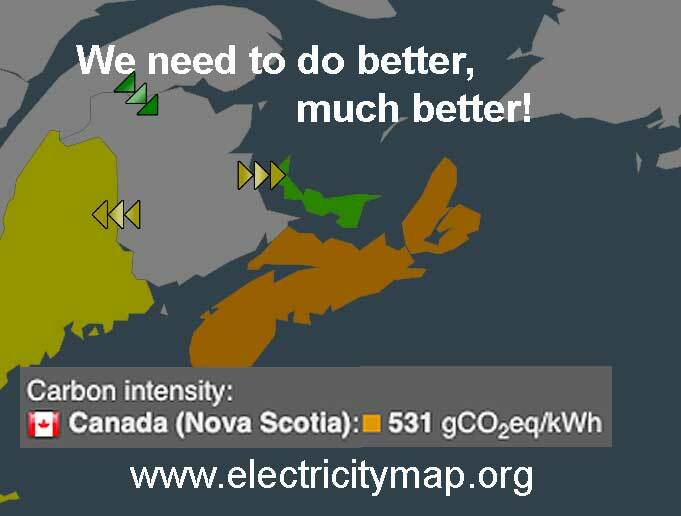 He says that Nova Scotia follows “nationally and internationally accepted accounting standards for GHG emissions measurement as well as for the classification of biomass as a renewable energy source”, evidently believing that should be reassurance enough. Peter Ritcie’s letter was written just as the news about Old Growth in the Loon Lake area being cut for biomass first emerged (view Post of Feb 23, 2018), and it wasn’t until March 17, 2018 – after Mr. Hollet wrote his reply – that there was some admission from NSDNR that it was indeed Old Growth that was harvested, and from Port Hawkesbury Paper that indeed most of the wood being cut from that area was going to the biomass burner (73%) or sold as firewood (11%)… (View Chronicle Herald, Mar 17, 2018), both of which are inconsistent with “nationally and internationally accepted accounting standards for GHG emissions measurement as well as for the classification of biomass as a renewable energy source”. If Mr. Hollet had written his letter after March 17th, would he have acknowledged that inconsistency? I don’t know. He didn’t acknowledge that there have been some fundamental, high level challenges to the currently accepted standards, only that “at this time we are satisfied that the current standards represent accepted practices”. I suspect that Mr. Hallet is a conscientious, honest, devoted public servant, as are all of the staff in Nova Scotia Environment with whom I have interacted directly. However, separating the person from the position, I have to express some concern that his academic background is in Commerce and Education, not science. How is he equipped, as Nova Scotia’s top climate expert, to determine when “standards of practice need to change as the science improves and as evidence is compiled”? This is not to downplay the value of Commerce and Education degrees…it is appropriate to have someone with that background communicating with the public, but it is not appropriate to expect that person to also have a comprehensive, critical grasp on the science of GHGs and climatic change. We need people who can question, not just follow, existing conventions. I guess I should be encouraged that NSDNR is now beginning to look at GHG fluxes as a component to be considered in forest management, but I am concerned that the position was not opened up to candidates with backgrounds in ecological sciences or atmospheric sciences or earth sciences and to PhD level candidates. From the outside, the requirement for a Bachelor’s or Master’s degree in Forestry or Natural Resource Management makes it looks like their primary need beyond the basic modelling skills is for someone who would be comfortable in the NSDNR forestry bunker. How we manage our forests can have a huge impact on how Nova Scotia as a province contributes to mitigation of climate change and adapts to climate change. We need some really good scientists to be involved, whether at academic institutions (and we do have some really good scientists working in relevant fields in our academic institutions) or within government but interacting openly with the larger scientific community and with Nova Scotians at large. Currently there are no signs that is happening or is in the works. Until it does, serious, thoughtful questions asked about the science behind our strategies to reduce GHGs will be met with all-is-ok/trust-us replies such as those I received in 2010, and that Peter Ritcie received in 2018. Nova Scotia Auditor General, 2017. This includes a link to climatechange.novascotia.ca, “The official website for the province of Nova Scotia includes resources for people and business, information on government programs and tourism, news releases as well as links to all government departments and agencies.” It’s platitudinous and self-congratulatory; don’t expect to find details about budgets, personnel, specific projects, progress reports or any detailed science here. “The NDCs [ Nationally Determined Contributions] that form the foundation of the Paris Agreement cover only approximately one third of the emissions reductions needed to be on a least cost pathway for the goal of staying well below 2°C. The gap between the reductions needed and the national pledges made in Paris is alarmingly high. Looking beyond 2030, it is clear that if the emissions gap is not closed by 2030, it is extremely unlikely that the goal of holding global warming to well below 2°C can still be reached. Even if the current NDCs are fully implemented, the carbon budget for limiting global warming to below 2°C will be about 80 percent depleted by 2030. Given currently available carbon budget estimates, the available global carbon budget for 1.5°C will already be well depleted by 2030.